Detailed with the Marmont line's distinctive matelasse chevrons and hardware inspired by an archival design, this supple leather bag features top handles, an optional strap and a spacious, well-organized interior. 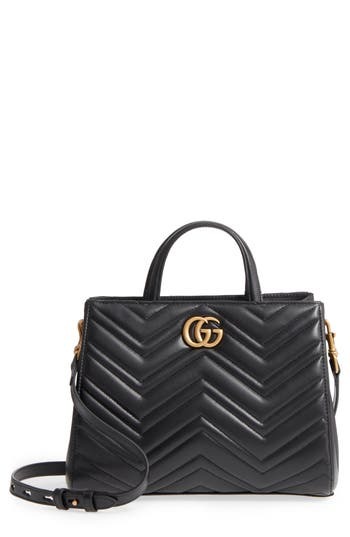 Style Name: Gucci Gg Small Marmont 2.0 Matelasse Leather Top Handle Satchel. Style Number: 5485390. Available in stores. 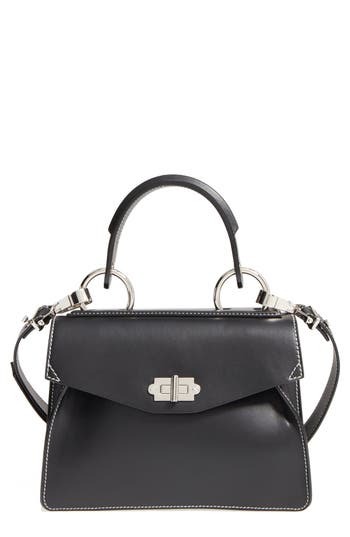 A textured, curvy flap-branded by subtle embossing-secures the front pocket of a sophisticated satchel crafted from lightly pebbled calfskin and topped with wrapped handles and an optional strap. 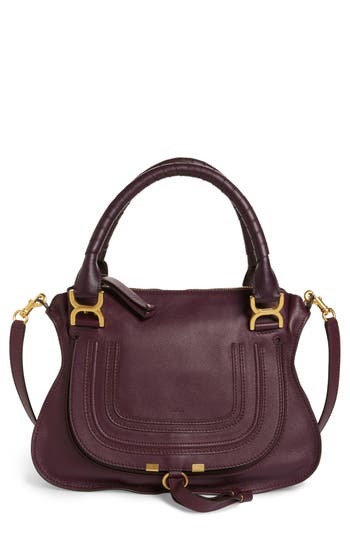 Style Name: Chloe 'Medium Marcie' Leather Satchel. Style Number: 341977. Available in stores. Grained lambskin leather lends opulent texture to a zip-top satchel modernized with a swath of rose gold studs spangling the base. 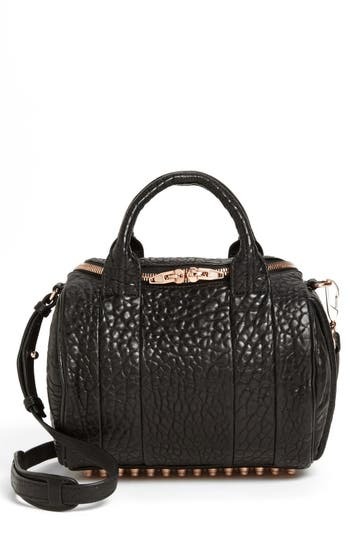 Style Name: Alexander Wang 'Rockie - Rose Gold' Leather Crossbody Satchel. Style Number: 925931. Available in stores. Grained lambskin leather lends opulent texture to this sized-down version of a quintessential Alexander Wang satchel modernized with a swath of silvertone studs spangling the base. 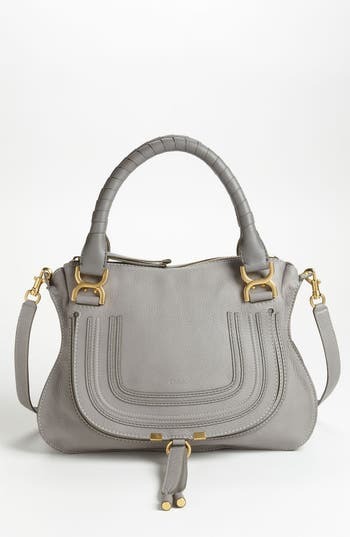 Style Name: Alexander Wang 'Mini Rockie - Nickel' Leather Crossbody Satchel. Style Number: 1136524. Available in stores. Softly shining palladium hardware glints against the richly grained goatskin leather that shapes this geometric satchel crafted with ample room for toting everything you need. Style it slung over the crook of your arm for a chic, asymmetrical silhouette, or throw it over your shoulder for convenient, on-the-go style. 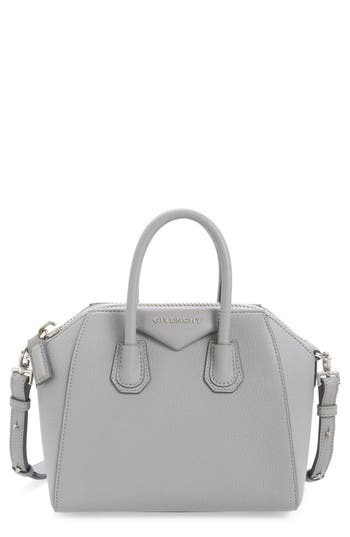 Style Name: Givenchy 'Medium Pandora' Sugar Leather Satchel. Style Number: 5050838. Available in stores. 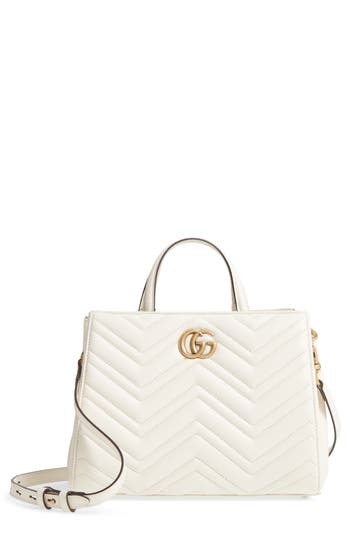 Softly shining palladium hardware glints against the richly grained goatskin leather that shapes this geometric satchel crafted with ample room for toting everything you need. Style it slung over the crook of your arm for a chic, asymmetrical silhouette, or throw it over your shoulder for convenient, on-the-go style. 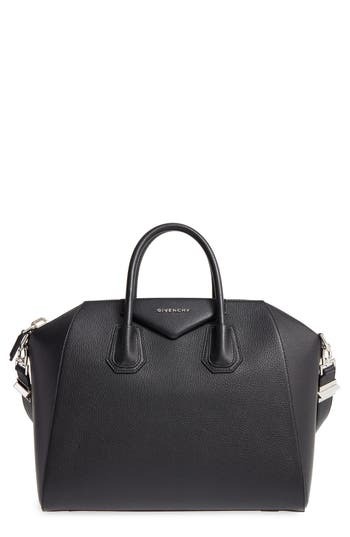 Style Name: Givenchy 'small Pandora' Leather Satchel. Style Number: 5099078. Available in stores. 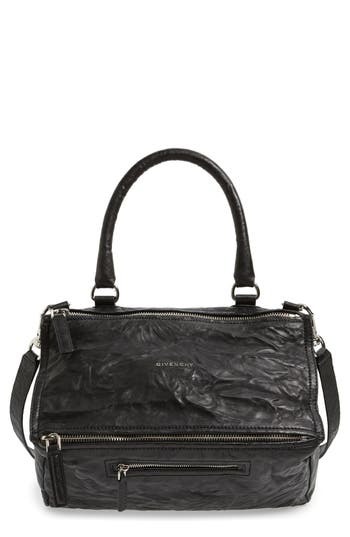 Washed leather lends a distinctive look to a luxe bag featuring a boxy, messenger-style silhouette. A longer top handle and optional, wide strap allow you to either tote or sling the look over your shoulder, while a generous, lined interior accommodates essentials with room to spare. Palladium hardware polishes the signature bag. 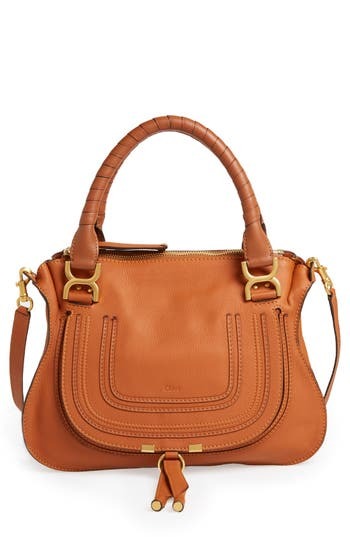 Style Name: Givenchy 'Medium Pepe Pandora' Leather Satchel. Style Number: 5050935. Available in stores. The fan-favorite Antigona satchel is done in rich sugar leather, imparting subtle texture to this classic, structured style. 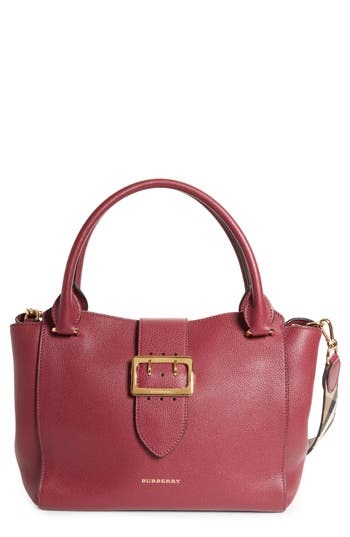 A chic, compact size, rolled top handles and a shoulder strap add versatility to the fashionable bag. 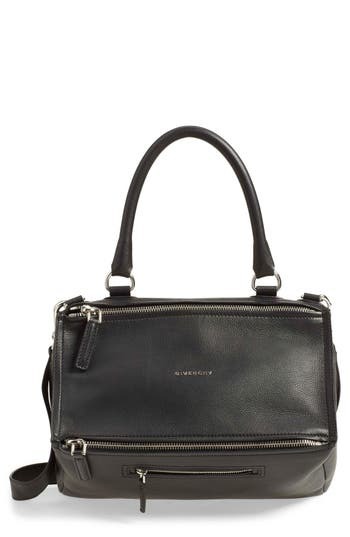 Style Name: Givenchy 'Mini Antigona' Sugar Leather Satchel. Style Number: 5050927. Available in stores. Grained lambskin leather lends opulent texture to this sized-down version of a quintessential Alexander Wang satchel modernized with a swath of rose-gold studs spangling the base. 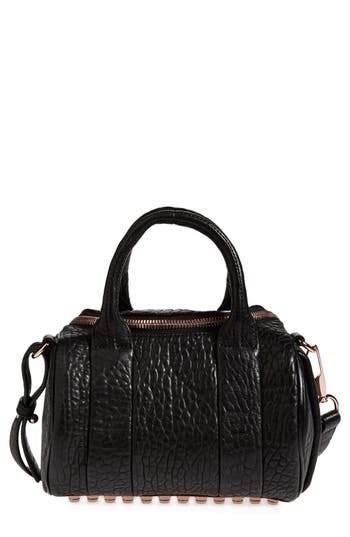 Style Name: Alexander Wang 'Mini Rockie - Rose Gold' Leather Crossbody Satchel. Style Number: 1136530. Available in stores. 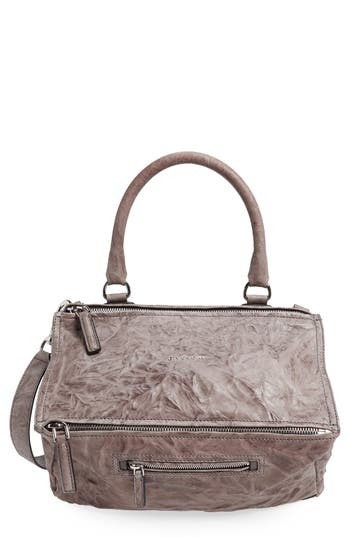 Silvertone hardware complements the retro attitude of a top-handle satchel done in Italian calfskin leather. An optional crossbody strap adds versatility to the refined silhouette, while a just-right interior ensures the style is as wearable as it is fashionable. 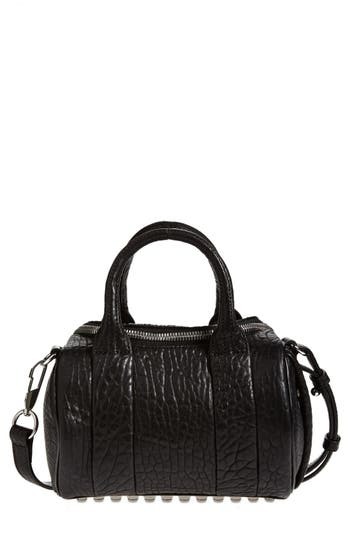 Style Name: Proenza Schouler 'small Hava' Top Handle Calfskin Leather Satchel. Style Number: 5190096. Available in stores. Beloved by street-style mavens and well-polished women the world over, Givenchy's Antigona satchel is done here in richly dyed sugar leather, a softly pebbled goatskin that imparts subtle texture to this classic and versatile style. 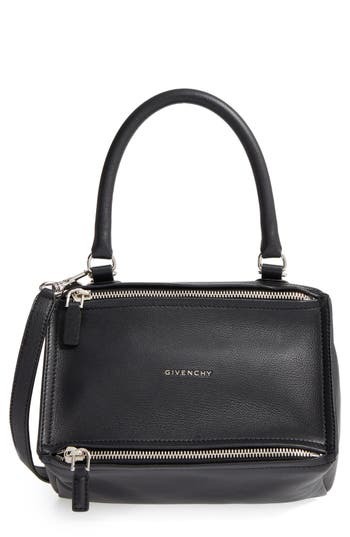 Style Name: Givenchy 'Medium Antigona' Sugar Leather Satchel. Style Number: 5184163. Available in stores. An oversized buckle strap instantly enhances the vintage character of a full-grain leather satchel featuring crisp Burberry checks at the shoulder strap and lining. 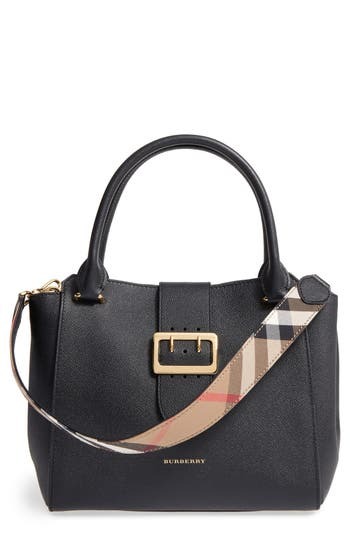 Style Name: Burberry Medium Buckle Leather Satchel. Style Number: 5226246. Available in stores. 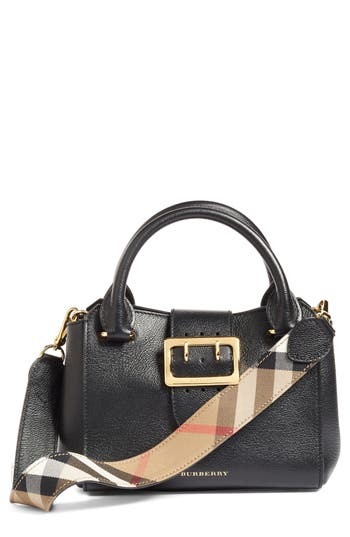 A small satchel makes a major style impact with oversized, logo-etched hardware and an optional guitar shoulder strap lined with Burberry's signature check. 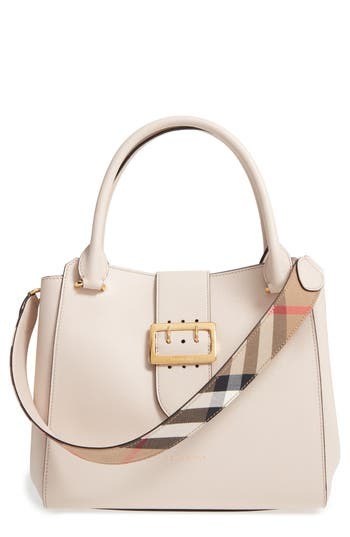 Style Name: Burberry Small Buckle Leather Satchel. Style Number: 5274629. Available in stores. Leopard-print calf hair adds an exotic air to this structured calfskin satchel featuring impeccable Italian craftsmanship and a polished chain-link shoulder strap. 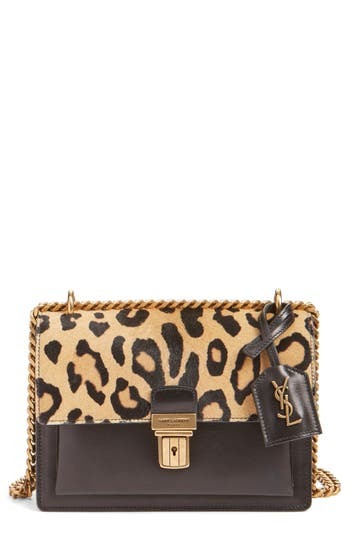 Style Name: Saint Laurent 'small High School' Genuine Calf Hair & Calfskin Leather Satchel. Style Number: 5188460. Available in stores.